Select the contact you would like to create a new email for. Click the 'New Email' button from the main ribbon toolbar. 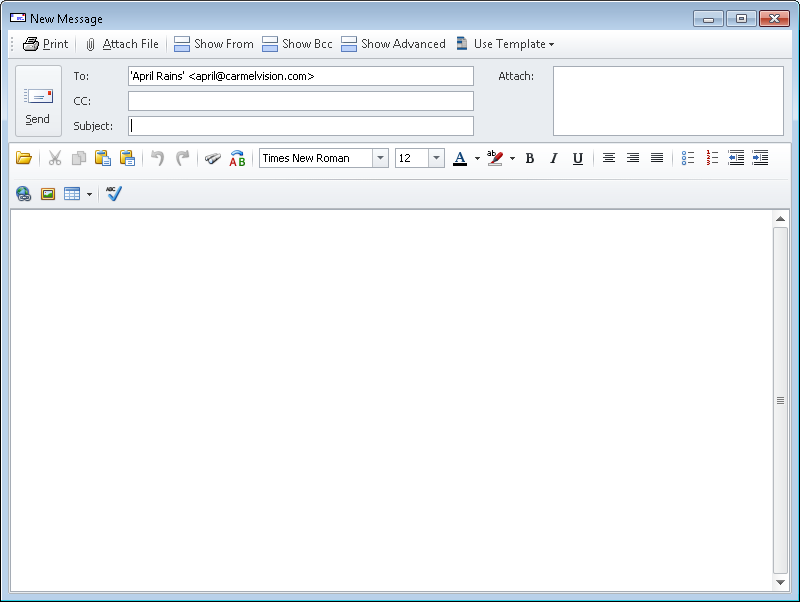 InfoFlo’s email editor will open with the Send field automatically filled out. The toolbar at the top allows you to 'Print', 'Attach File', 'Show From', 'Show Bcc', 'Show Advanced', 'Show Advanced' and 'Use Template'. Below the tool bar is the 'Send' button, 'To' field, 'CC' field, 'Subject' field and 'Attach' files list area. Below that is the body of the email along with all the options for your richly formatted email. 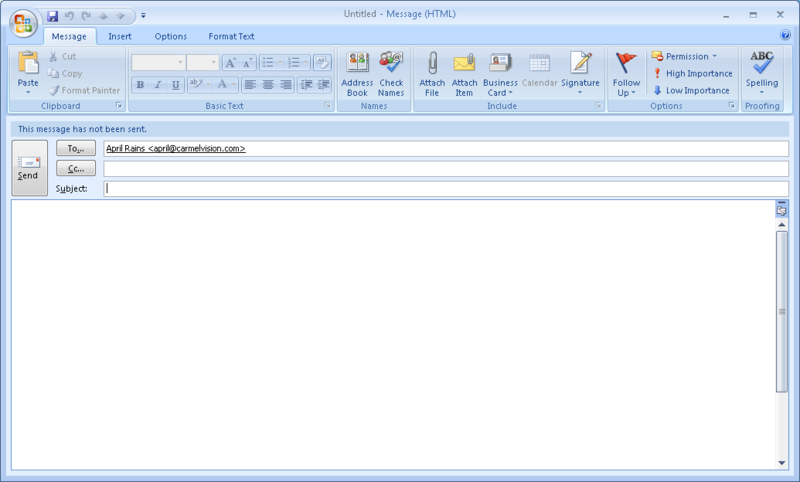 To send the email, fill in the email Subject, email Body and click the 'Send' button. However, if you have 'Microsoft Outlook (sync)' selected as your default account, the Outlook email editor will be displayed instead of InfoFlo’s. For more information on how to do this, visit How do I set up Microsoft Outlook as my default email editor? This is what your email editor may look like depending on what version of Microsoft Outlook you have installed. The functionality will be the same as the Outlook you are already familiar with. Note that the 'To' field has already been populated with the email address of the contact we selected earlier.